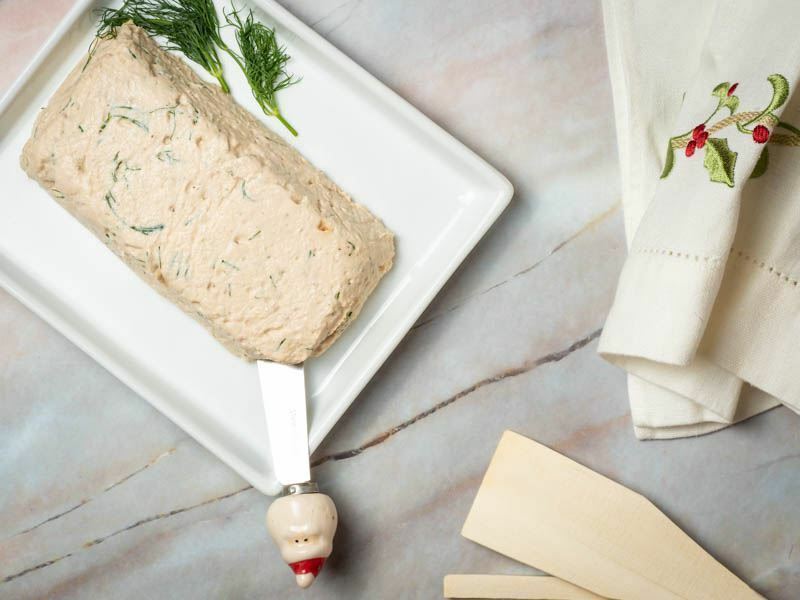 This savory salmon mousse is a bit of a showstopper with its five-star-quality presentation. 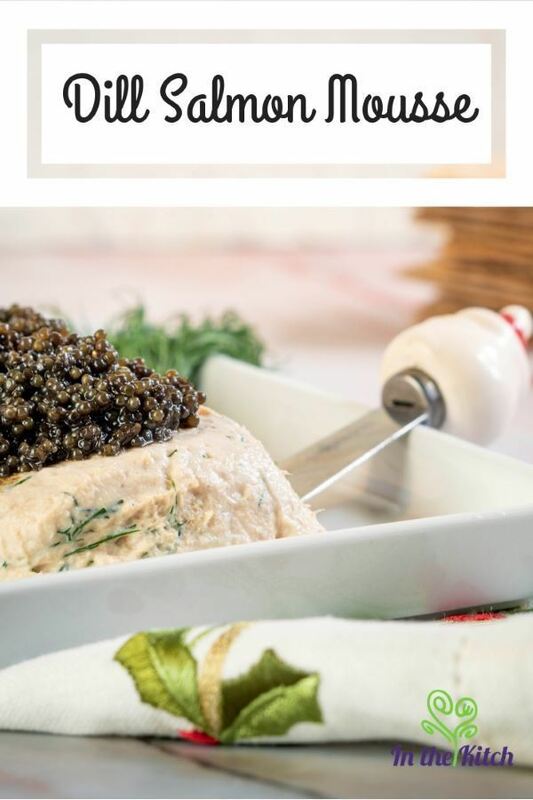 This dish will wow your holiday guests with its creamy texture and hint of citrus zing. Best of all, it’s super easy to make. All you need is some canned salmon, gelatin, cream cheese, a splash of white wine, a little lemon zest, and a food processor. 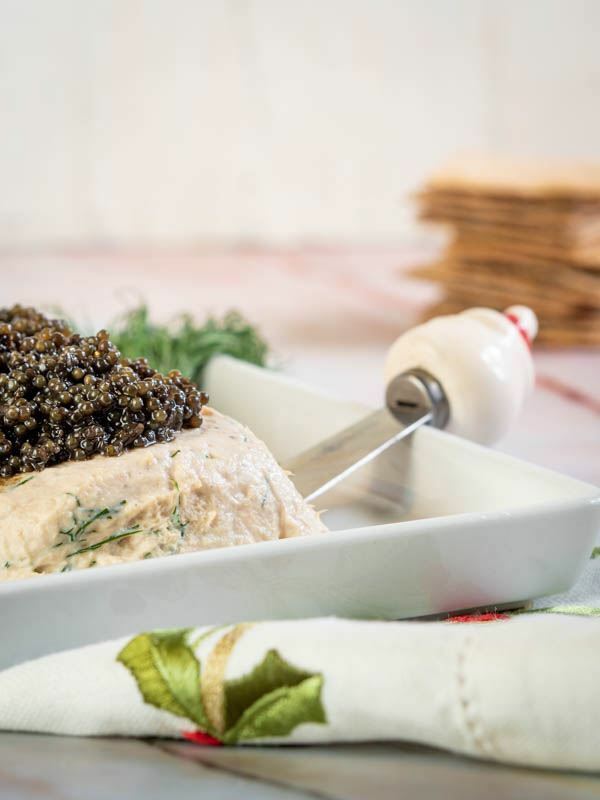 Top the mousse with black fish eggs (caviar), a sprinkle of dill, and serve with fancy crackers. This dish goes from a simple spread to deluxe hors d'oeuvre your guests won't be able to resist. This savory salmon mousse is a bit of a showstopper with its five-star-quality presentation. 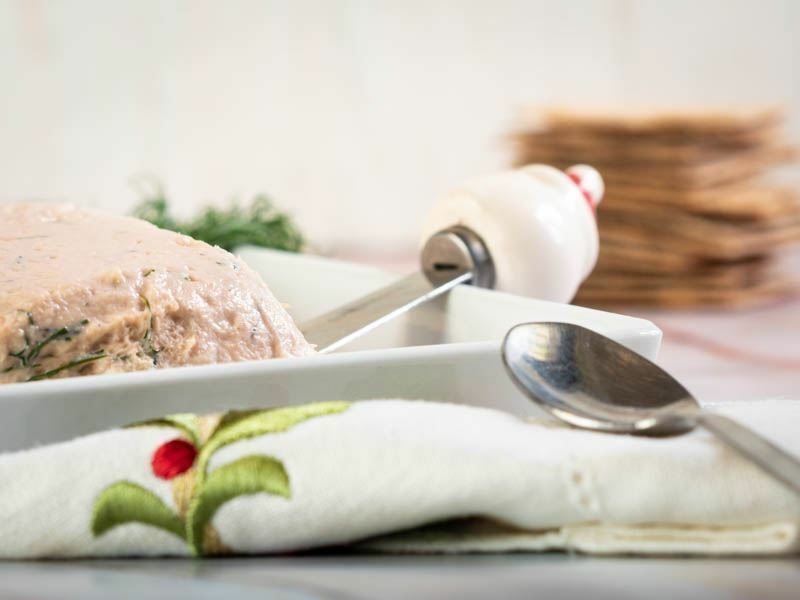 This dish will wow your holiday guests with its creamy texture and hint of citrus zing. Best of all, it’s super easy to make. 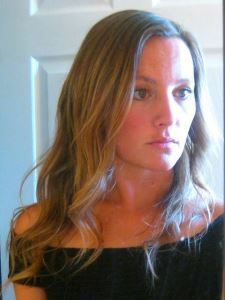 Pour 3 tablespoons of cold water in a small bowl, and sprinkle with gelatin; let soften, 5 minutes. Add it to a small pot and heat it for a couple of minutes, only until the gelatin dissolves. Set aside. In the bowl of a food processor, combine salmon, white wine, cream cheese, lemon juice & zest, salt and pepper. Puree until smooth. Add the gelatin and the fresh dill and pulse again until well mixed. Open the top of the plastic wrap, turn the mousse over the serving plate, and remove the plastic wrap. Garnish mousse with dill and black fish eggs. Serve with crackers. You've wrapped the presents, trimmed the tree, and now have a house stuffed full of friends and family. All are waiting to sit down to the fragrant food still cooking in the kitchen. Forget the cheese tray. This holiday season, pamper (and impress) those hungry loved ones. 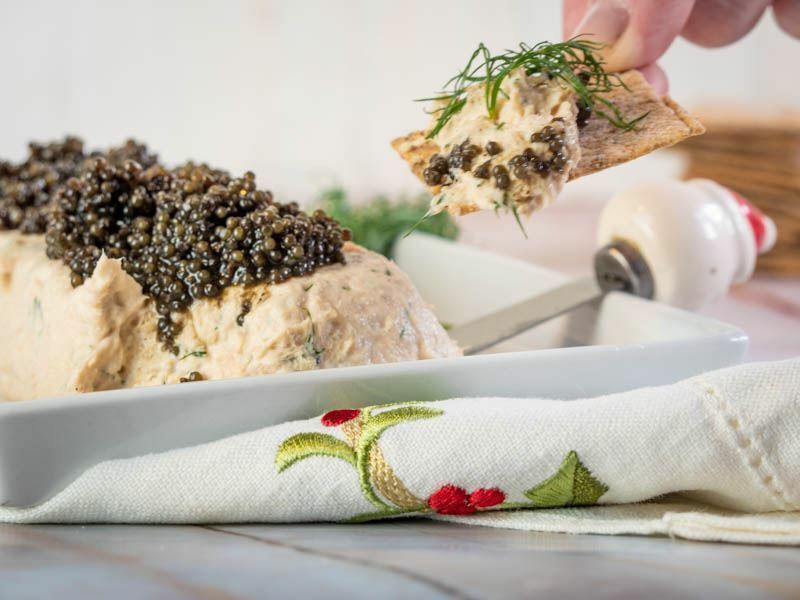 Present them with a salmon mousse, adorned with black caviar and a dash of dill, served atop crisp crackers. These appetizers are quick and easy. But it will be the fun, unique dish everyone will remember and enjoy for many seasons to come. Did you make any variations to this recipe? Let us know in the comments! Looking for more holiday recipes? Try our Christmas-Spiced Cake Pops!